Come see this 2016 GMC Sierra 1500 SLT. Its Automatic transmission and Gas V8 5.3L/325 engine will keep you going. 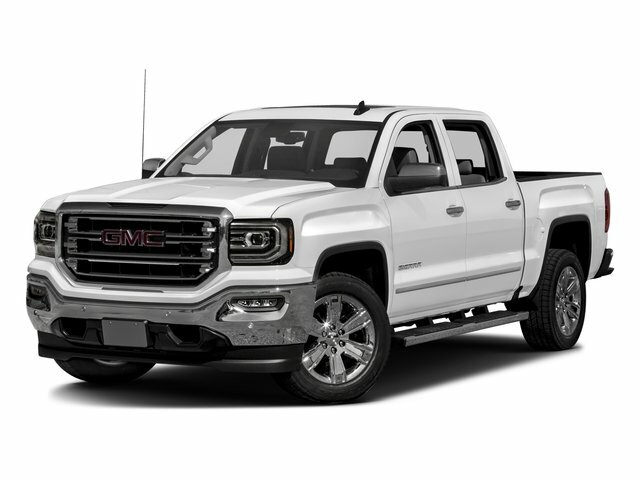 This GMC Sierra 1500 comes equipped with these options: WIRELESS CHARGING, WINDOW, POWER, REAR SLIDING WITH REAR DEFOGGER, WHEELS, 20 X 9 (50.8 CM X 22.9 CM) POLISHED ALUMINUM, UNDERBODY SHIELD, TRANSFER CASE PROTECTION, TRANSMISSION, 6-SPEED AUTOMATIC, ELECTRONICALLY CONTROLLED with overdrive and tow/haul mode. Includes Cruise Grade Braking and Powertrain Grade Braking (STD), TRAILER BRAKE CONTROLLER, INTEGRATED, TIRES, P275/55R20 ALL-TERRAIN, BLACKWALL, TEXAS SLT PREMIUM PACKAGE includes (UQA) Bose premium audio system, (RD5) 20 x 9 polished aluminum wheels and Texas emblem badging. With Crew Cab model includes (BVQ) 6 rectangular chrome tubular assist steps. With Double Cab model includes (VXH) 6 rectangular chrome tubular assist steps. ), SUSPENSION PACKAGE, OFF-ROAD includes Z71 chrome side front fender emblems, monotube Rancho brand shocks and (K47) air cleaner, (JHD) Hill Descent Control, (NZZ) underbody shield, and STEERING WHEEL, HEATED, LEATHER WRAPPED with audio and cruise controls. See it for yourself at Covert Chevrolet Buick GMC, 702 Hwy 71 West, Bastrop, TX 78602.